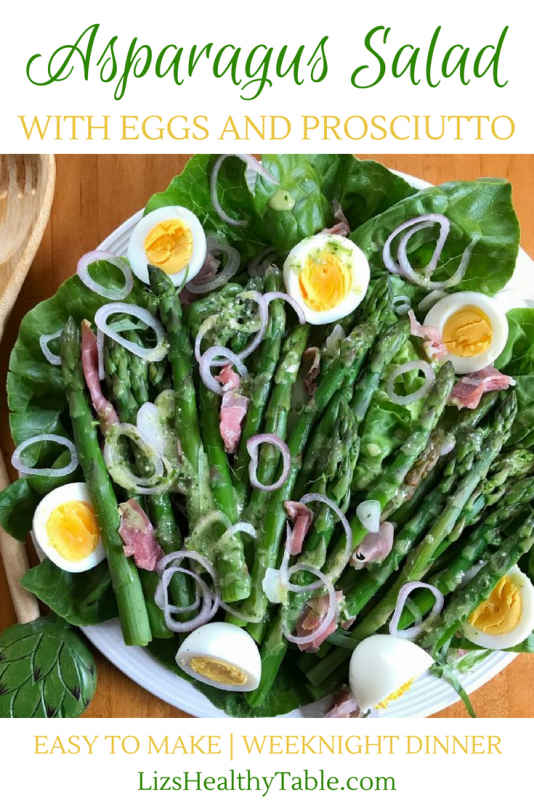 Asparagus season is in full swing here in New England, so I cooked up this beautiful Asparagus Salad with Eggs and Prosciutto by blanching a bunch of just-picked asparagus and topping with hard boiled eggs, prosciutto, and a dazzlingly delicious vinaigrette made with fresh herbs, Dijon mustard, and Parmesan cheese. 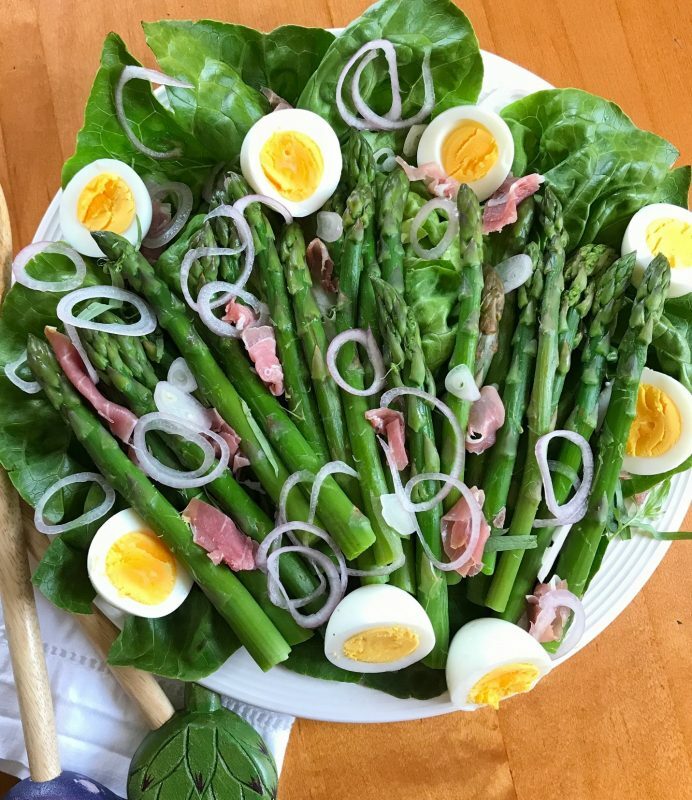 This Asparagus Salad with Eggs and Prosciutto was created by my friends at Wilson Farm in Lexington, MA where I’ve been shopping since 1992 and where they’ve been “growing” since 1884. 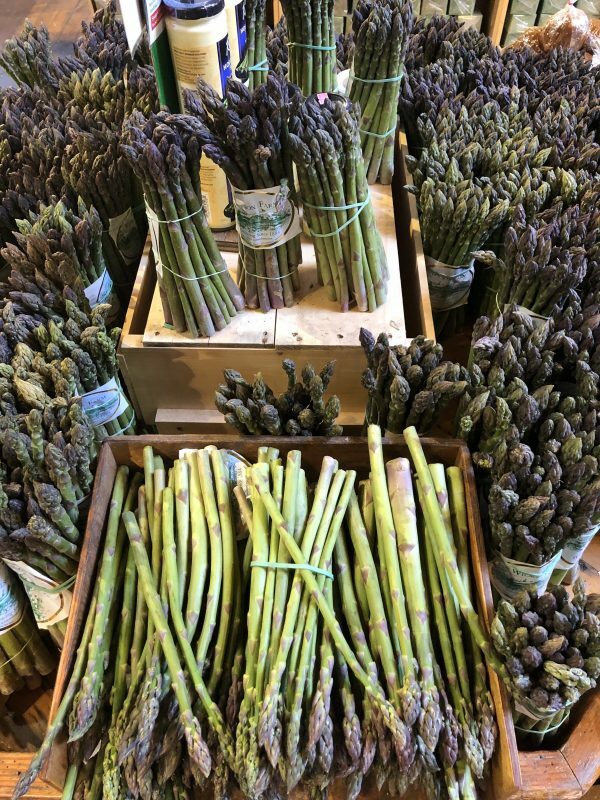 They grow asparagus every spring up at their New Hampshire location, and when their local stalks show up at the farm, I literally grab bunches and get to work roasting, grilling, and blanching. 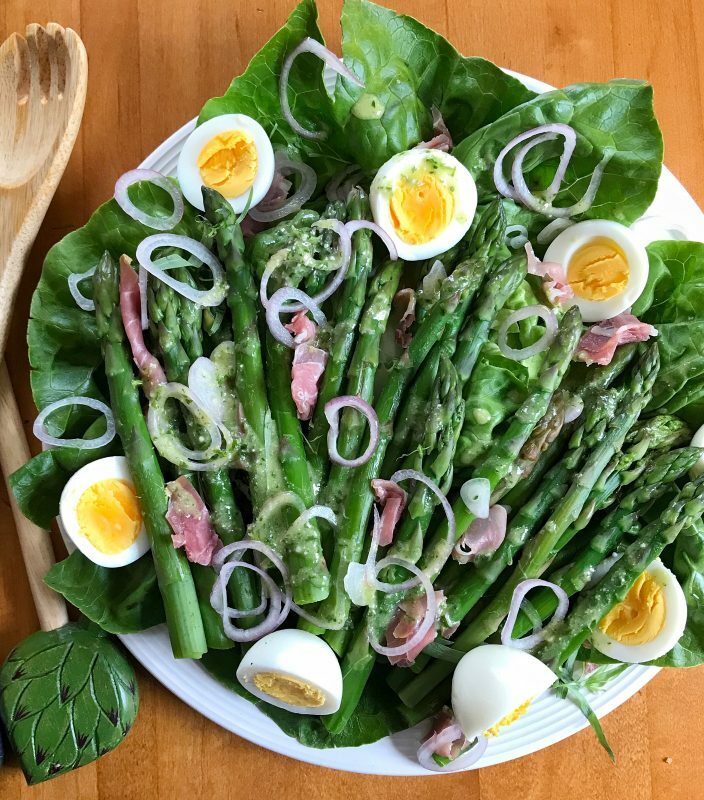 The things I love most about this salad are the asparagus itself and the dressing made with gorgeous fresh herbs including tarragon and basil as well as other flavor boosters like Dijon mustard, honey, garlic, vinegar, and extra virgin olive oil. Want to learn more about how asparagus is grown or how to choose it at the market and prepare it at home? 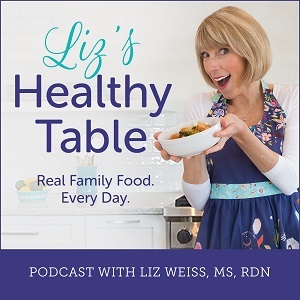 Tune in to my Asparagus Season podcast episode with Jim Wilson, head farmer at Wilson Farm, and Raymond Ost, their in-house Master French Chef. Just click the PLAY button below to listen. Click the PLAY button above to listen to the show. 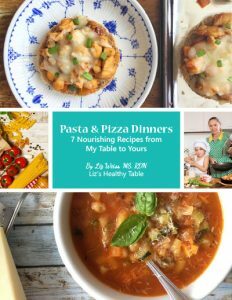 – Fill a saucepan with water and a generous sprinkle of salt, and bring to a boil. – Carefully add cleaned and trimmed asparagus. – Bring the water back up to a boil. – Start your timer and boil for about 3 minutes until crips tender. 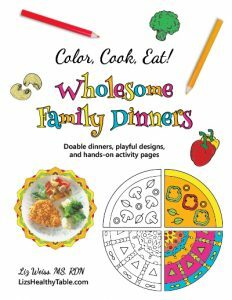 – Use tongues to transfer the asparagus to a colander, and drain. 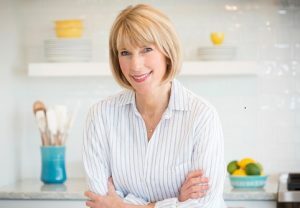 – Lay on paper towels and dry the asparagus. I could eat salads all day, especially when they're made with farm-fresh produce like asparagus. This salad is a meal in itself. Topped with hard boiled eggs and prosciutto, it's filling, nourishing, and easy to make. If you want to go completely vegetarian, skip the ham or swap it for green olives, nuts, or chickpeas. Just get creative! Fill a large bowl with cold water and ice cubes and set aside. Layer a few pieces of paper towel on a cutting board or other word surface and set aside. Place the shallot in a small bowl and cover with 1 tablespoon of the vinegar. (A quick "pickle" in the vinegar will soften the flavor of the shallot.) Set aside. 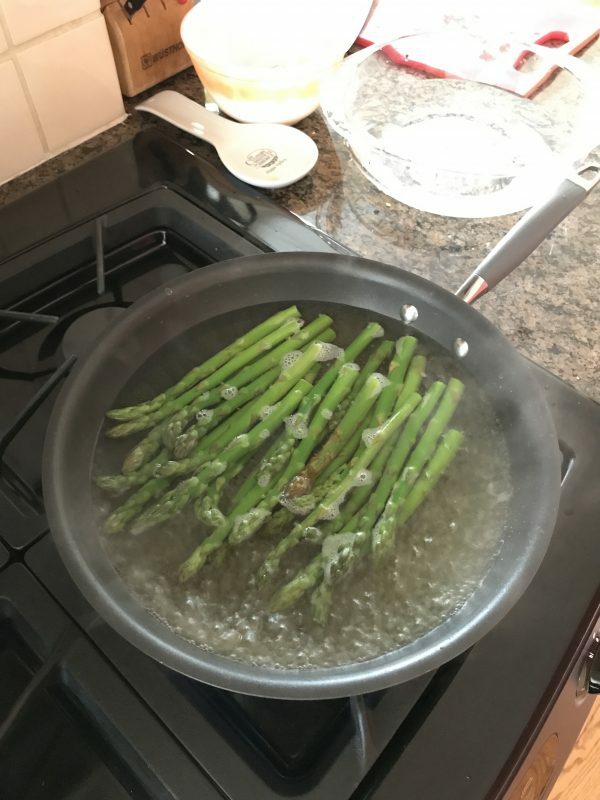 To blanch the asparagus, fill a large skillet about ¾ full with water. Add a teaspoon of kosher salt and bring to a boil. Carefully place the asparagus spears into the boiling water and cook until crisp tender, 3 to 4 minutes. Using tongues, transfer the cooked asparagus to the ice water. Once the asparagus spears are cool, transfer to the paper towels to drain and dry. To make the dressing, place the remaining ¼ cup vinegar, basil, tarragon, Parmesan cheese, mustard, honey, garlic, salt, and pepper in a small food processor or blender and process until smooth. Add the oil and continue to process until combined. Add more oil to taste. * I like to hard boil eggs by steaming. Here is a link to my easy-peel method. I hope you get a chance to try this salad. Post a comment below and let me know what you think of it!